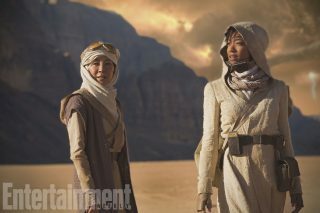 Entertainment Weekly this morning published an exclusive photo from Star Trek: Discovery, which is now filming in Toronto. 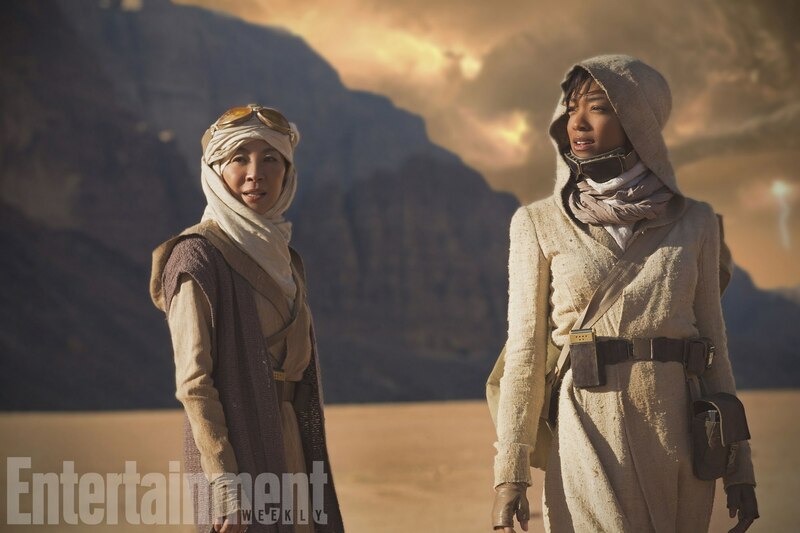 The pic shows actresses Michelle Yeoh and Sonequa Martin-Green evidently on an away mission to a desert-like planet. James Frain (Gotham) also co-stars as Spock’s father, Sarek. Doug Jones (Hellboy) plays science officer Lt. Saru, who is also a member of a new alien species. And Anthony Rapp (Rent) will play a character called Lt. Stamets. Discovery is set only a decade or so before the original Star Trek series, putting it squarely in the 23rd century. Notice that Martin-Green’s character in the photo is wearing what looks like an old-school communicator and tricorder on her belt. After two release delays and some creative changes behind the scenes (including the exit of executive producer Bryan Fuller), Discovery is expected to premiere on the CBS All Access digital streaming service later this year. 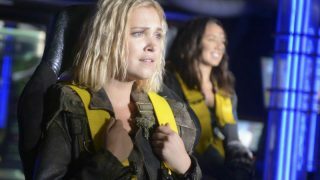 As far as we know, CBS is also still planning to broadcast the first episode.